There’s a mystery to solve in Hoke Auditorium! The curtains open on Mollie Rolston and her husband as they prepare for the grand opening of their guest house. As customers arrive they discuss the icy, local weather and a recent murder. Thanks to the storm, everyone trapped in the hotel is safe from the murderer; safe, that is, until they suspect the murderer is in their midst. The cast of the show is one you won’t be able to forget. Senior Abigail Cotton graces the stage as Mollie. With wide-eyed energy, her posh English accent is as sophisticated as her performance. Serious as the plot is, the show could pass for a comedy as the elderly Mrs. Boyle (played by senior Reagan Galloway) stomps about with a disposition as wrinkled as her face. Also, junior Caleb Joung was an instant crowd favorite in the hysterical role of Paravicini. Besides producing thrilling entertainment, the cast and crew were determined to give God all the glory. Seminary student and actor Josh Pinkerton says that every Saturday the cast met to rehearse, they would share a Bible devotional. 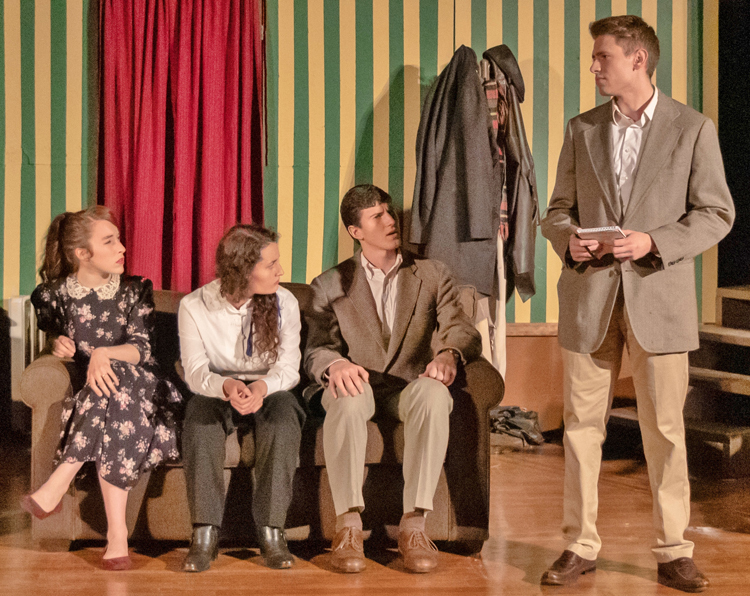 "The Mousetrap” performances are Nov. 9 and 10 at 7 p.m. and Nov. 11 at 3 p.m. Head to Hoke Auditorium to solve the mystery. Interested in theatre? The CIU Thespians perform top plays and musicals. Check them out here.